To celebrate backyard cottages and the city of seattle's efforts to encourage more of them, we are hosting a city wide bike tour. 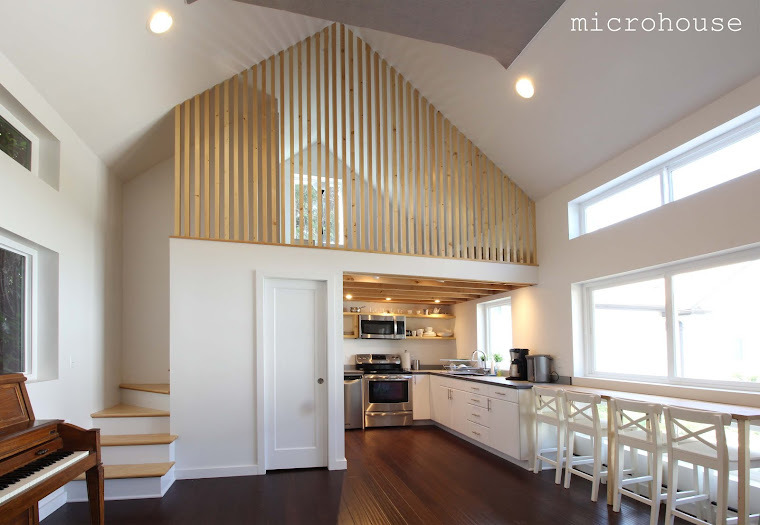 The tour include cottages in Capitol Hill, Madison Valley, Portage Bay, Tangletown, Greenlake, Ballard and Fremont with three to four cottages open to view inside. The tour date is tentatively scheduled for Saturday May 14th with more information and registration information available soon. Short term rentals are an increasingly popular use for backyard cottages. 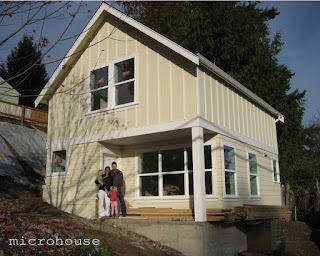 Ben and January are an example of a young family currently using their backyard cottage as a short term rental. After January's father retires in a few years, he plans to live in the unit allowing him to be closer to his young grandchildren and family. With this arrangement their rental income allowed them to completely pay for the cottage in 5 years and it now provides supplemental income for the family until January’s father is ready to move in. The sharp rise in the popularity of short term rentals has resulted in some increased scrutiny and call for regulation from city officials. New legislation proposed by Seattle City Council aims to more closely regulate short term rentals. Council member Tim Burgess is currently proposing the following "guiding principals" for the regulation of short term rentals. · All short-term rentals must pay applicable taxes. · The type of short-term rental that will require the highest level of regulation is: entire units rented frequently that are not the primary residence of the owner. We might consider restricting short-term rentals where the host does not live on-site in residential zones. · Primary residences rented infrequently may require a lesser level of regulation. · We must ensure we have a regulatory system that works on the ground. This may require cooperation from the major short-term rental market platforms like Airbnb or VRBO. Not surprisingly, owner occupancy is favored by Tim Burgess as a means of regulating the use of backyard cottages as short term rentals. It makes sense that owner occupants will do a better job supervising their guests than an absentee landlord. 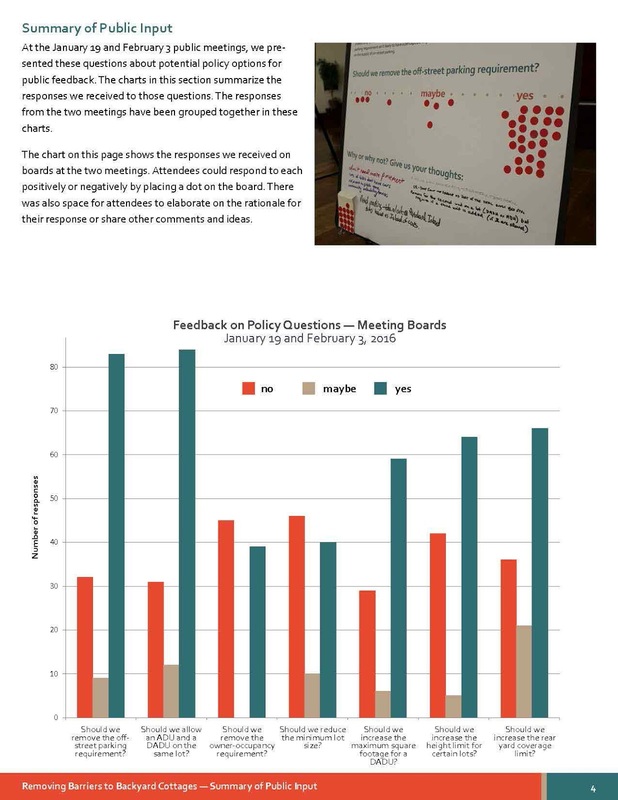 Maintaining owner occupancy requirements for backyard cottages was also favored by those attending city sponsored forums on how best to encourage the development of more backyard cottages. Maintaining owner occupancy requirements for backyard cottages was also favored by those attending city sponsored forums on how best to encourage the development of more backyard cottages. Encouragingly, additional measures aimed at making it easier to build backyard cottages (such as the removal of parking requirements and increasing the allowable size of backyard cottages) have been met with broad public support. 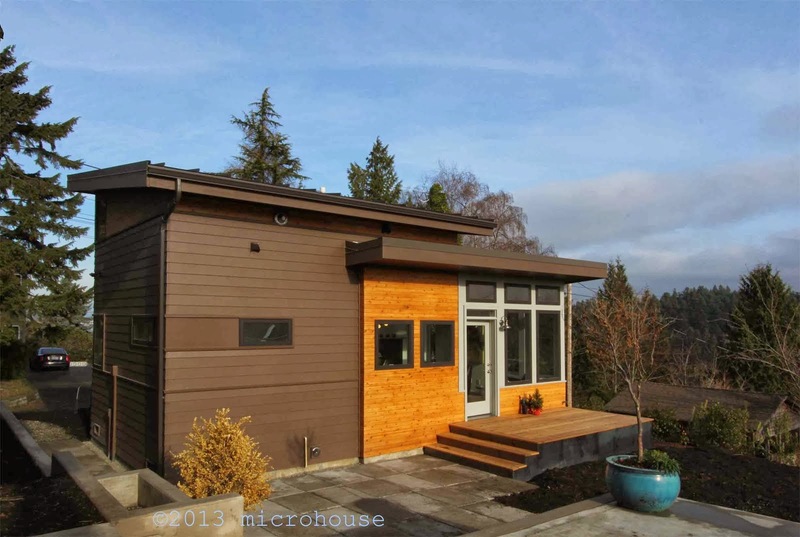 The city of Seattle planning department is collecting information about rules regulating backyard cottages with an eye towards encouraging their development. Comments can be sent to Nicolas Welch.